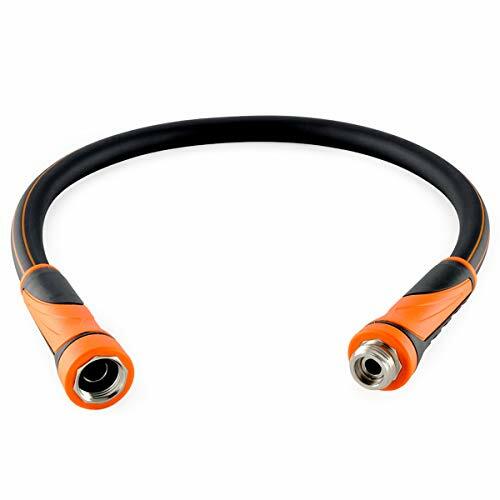 -Our black water hose made of hybrid polymer, it is lightweight than rubber. Couplings don't leak etc. *Do not drink water from this hose. Wash hands after use. EXTREMELY DURABLE---Our hose is very resistant dirty. Abrasion resistant outer cover and crush resistant anodized aircraft aluminum fittings.